Flowers – the heart and soul of every wedding. Through small they may be, each bouquet symbolises a bride and is the best accessory for any wedding gown. Make a statement with this attention-grabbing bouquet of bright yellow sunflowers and deep greens. Eluding vibrant fun and energy, the bride definitely enjoys the thrill of being the centre of attention. The soft soothing tones of Gerbera flora, wax flowers and bear grass hand bouquet is able to deliver a sweet and demure impression. A relatively small bouquet, it suits the petite blushing bride for sure. 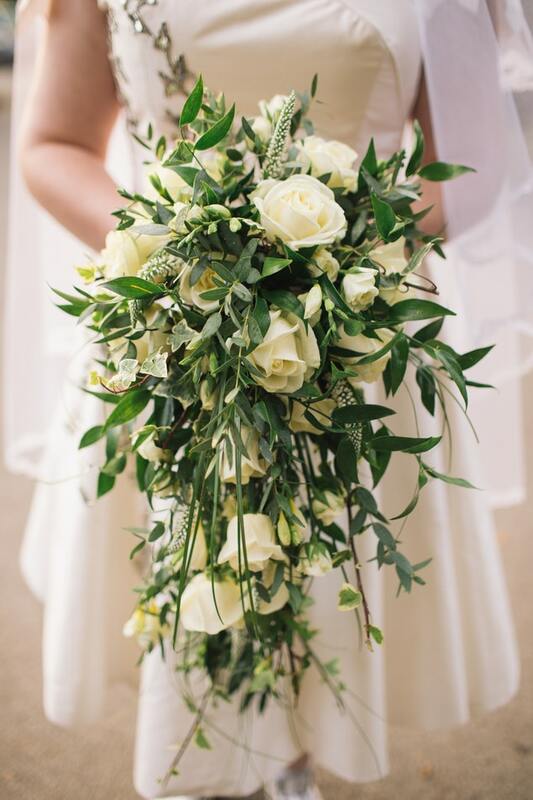 Beautiful pale yellow roses set amidst rich green leaves make up this stunningly refreshing bouquet. Especially suitable for a classic winter theme wedding, let this floral arrangement accentuate the romantic mood of your big day. Nature lovers will adore this bouquet with its prominent natural green floral. To enhance the mood for love, you can add tiny wax flowers and tied a sweet pink ribbon with long flowing laces to add a soft feminine feel. An artistic out-of-this-world arrangement of Waratah, Amaranthus and Australia Flowers come together in this exciting bouquet. Perfect for a wild wedding bash in the great outdoors! Roses are the messengers of love. They are the flowers that many women can’t help but be charmed by. Pledge your undying love then, with this sweet bouquet of beautiful pink roses. Beautifully crafted to resemble the shape of a delicate bird nest, this floral arrangement signifies the love nest that both of you united in marital bliss shall build together hand in hand. A unique bouquet with a classic choice of a variety of colours is provided would be perfect! Set your heart on fire. Ignite the intensity of your passionate love with this bold and striking bouquet of contrasting reds and greens.